Village Laundry Service, A Story Of The Start Up | Business Article | MBA Skool-Study.Learn.Share. Village Laundry Service (VLS) and their flagship brand called “Chamak”, are the fruits of Innosight Ventures’ disruptive innovation methodology. The idea behind the formation of the VLS was to explore the building of a retail chain of small forms of laundry, that assures clean and hygienic washing, drying as well as ironing; all in a matter of a turnaround time of 24 hours to the customer. VLS today has annual revenues to the tune of more than Rs 50 lakh, more than 50 employees, more than 15000 customers, and a marked social impact. Akshat Mehra, an IIM-C graduate had worked for nine years with Procter and Gamble (P&G), where he used to be the brand manager for their laundry business of Ariel and Tide detergents for seven of those nine years. Later, he decided to move to India, and began working for Aditya Birla Retail Ltd. During this time, he also made a decision to take the entrepreneurial plunge and got in touch with Innosight Ventures, which is an early stage venture incubator based out of Singapore and India. Innosight Ventures is founded by a Harvard Professor, Clayton M Christensen, who specializes in disruptive innovations. Mehra struck an idea when he came across a subset of the population that requires cleaning of their laundry for they themselves don’t have enough time to do it, and also has a requirement for a fairly decent quality. This was of course, the great Indian middle class. And while aspiring for quality services, they also don’t want to make their wallets lighter by hundreds of bucks that would generally go for a high quality dry cleaning and laundry service. Majority of the population with this unmet need, Mehra found, had come newly to the city, and was desperate to have daily chores like laundry to be handled, while they themselves struggled with life for their job and life balance. Housewives were also regarded as potential targets. In early 2009, they went to several parts of India and tried to find out more about the lives of the people they really wanted to change – the washermen. They visited dhobi ghats. They indeed found it to be a fascinating sight. At the ideal dhobi ghat, the clothes are washed with home-made soap and by slapping against the rock or with the small bat, then the clothes are hung out to dry on a very long clothes line that would run across the whole landscape of the ghat, and then the dried clothing would be put down on the ground and sorted piece by piece. But the worst part of the scene is the water. Most dhobi ghats are around ponds or lakes or rivers. The water there is generally a murky dull green, so dirty that if one really saw it, perhaps they would never ever go to a washerman again to get their clothes washed. The major aim then became to involve the bottom-of-the-pyramid population, both as entrepreneurs or service providers as well as customers. The focus was decided would be on tier I cities and gradually move down to tier II and II cities as well. And so came the idea of the village laundry service (VLS), to provide quality laundry services to the target customers at affordable and competitive prices. Once the idea had formed, next came the question of how to differentiate the venture from traditional and conventional washermen, after all, whatever the VLS would do is what the washerman already offers. But the washerman does not take care of hygiene and so the VLS kiosks decided to use surf excel or ariel detergents in a manner that it was clearly visible to the customers and the customers could see their clothes being washed by well-known detergents. The second point of differentiation came in the form of time. A normal washerman comes in every week or fortnight, collects new clothes to be washed and returns the old clothes that are now washed and clean. But VLS offers a 24 hour turnaround time. The third point of differentiation was VLS promised no damage to clothes and thus, they use front loading washing machines which are technically regarded as better than top loading washing machines for the clothes. VLS uses steam ironing which is crisper and lasts longer. The clean, ironed clothes are wrapped in wrinkle-free packaging that helps retain the ironing till the clothes are used. Chamak began its journey with a network of small and compact portable kiosks 8ft by 4ft in size, that were designed by the VLS and are now patented across seven countries. Each of these kiosks contained a top-loading washing machine, a dryer, an ironing table, an iron, weighing scales, water and electric motors, and a storage space for clothes. The incubation venture began in Bengaluru and within six months it had gained immense popularity. Today, VLS is immensely popular and operational in Bengaluru and Mumbai. Understanding the time advantage was the major advantage it had to offer, the company has developed a home service module, which it calls as ‘Chamak direct’. Here, the VLS employee would come and collect the dirty laundry from home and deliver it back to home once they were cleaned. Below the excellent service that VLS provides, lies the power of state-of-the-art technology, which is well connected through mobile phones, web portals and mobile-based point of sale applications. Unlike the conventional washermen, the charges are based on kg of laundry and not on the type and number of clothes. Each kg of clothes cost around Rs 40/- and they would even sms the consumer once they have been cleaned. Sushil Mungekar, the MD and CEO of VLS, who took over in May last year, recalls that the prices of per kg of laundry when they started were Rs 30/- and the total earnings of their first day of operation were Rs 67/-. He says, the name Chamak was decided because it was short and easily recognizable across all India languages. Former CEO and founder, Akshay Mehra, who is now in a consulting role at Innosight’s Singapore office still shares a strong bond with VLS and recalls how it had been difficult to get a lot of men to join them, since most of the washermen strongly believed that washing clothes was something their wives did and no amount of convincing would help. This is still one of the major problems that VLS faces when it has to recruit employees. Today, the VLS follows a franchise model of growth. One kiosk franchise would cost anywhere between 1 to 2.5 lakh depending on how many franchises are being opened. VLS also gives discounts if a person wants to open four-to-five franchises. Once a person takes up a franchise, VLS provides a full-fledged kiosk, complete with everything from washing machine to detergent, dryer and everything that the kiosk requires. Then it depends on the person taking the franchise as to whether he or she wants to run it themselves or they want to hire someone to run it. Marketing support is also given by VLS. 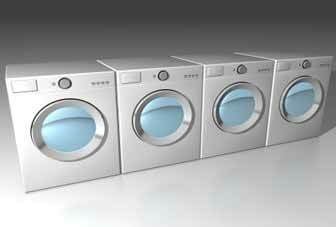 If the washing machine or drier breaks down, then VLS has an assured guarantee to have it replaced within 24 hours. Each kiosk can handle about 36 kg of clothes over a span of 12 hours. Customers are charged Rs 60/- for delivery within 24 hours and Rs 100/- for express service. Everybody has ideas. Moreover, with competitions like TOI’s Power of ideas and so many venture capitalists out in the market, more and more people are getting inspired to take the entrepreneurial plunge. But it is not always the idea that is the key to success. A good idea is definitely important, but also important is the execution of the idea. VLS has had an excellent execution of the idea, and that is one major key to its success. VLS has been successful in understanding the real pain points that it is trying to address in its target customers, and a has had a continuous interpretation of what it all means, has identified what the idea would serve while ensuring that the customer is delighted and the service offered is differentiated from what already exists in the market. Chamak already has Bengaluru under its belt, and the current focus is on Mumbai, with plans of including Pune, Gurgaon, Hyderabad, Chennai and Kolkatta soon to follow. The management feels that funding is not at all an issue in operations. The ultimate ambition of VLS is to open a Chamak booth in every city across India. VLS also has a rewards program for its employees in order ot ensure the highest possible level os service to the customers. This article has been authored by Bhavi Patel from IRMA.